Dr. Kesteven was born and raised in Calgary, Alberta. Upon graduating from high school, he spent one year at the Canadian Bible College in Regina, Saskatchewan before returning to Calgary to complete his pre-dental studies at the University of Calgary. Due to his excellent academic standing he received early entrance to the University of Alberta Faculty of Dentistry. Four years later, Dr. Kesteven graduated “first” in his dental class achieving class Valedictorian status. 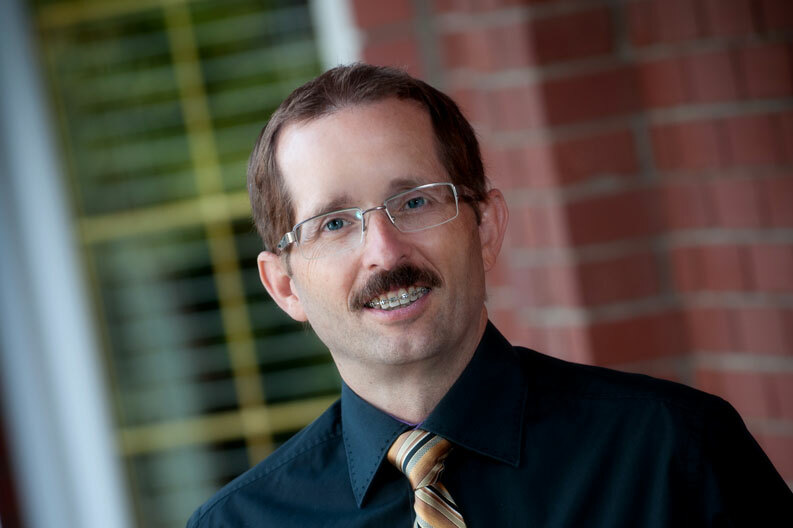 Dr. Kesteven came to Mission after graduating to establish a general dental practice. He has focused on aesthetic and restorative dentistry as well as general dentistry. It is the change he sees in people’s lives when their smile is restored that he finds most rewarding. In addition to designing and enhancing smiles and safely replacing mercury/metal fillings with metal free restorations, Dr. Kesteven also provides Conscious Sedation, allowing patients to “relax” through dental treatment, TMD (temporomandibular dysfunction) treatment and gneuromuscular dental care. Dr. Kesteven is an active member in the American Academy of Cosmetic Dentistry, Academy of General Dentistry, International Association for Orthodontics, Canadian Dental Association, Dental Organization for Conscious Sedation, Association of Dental Surgeons of British Columbia, International Congress of Oral Implantologists, and Christian Medical Dental Society. In order to stay on the “cutting edge” of dental treatment and technology, Dr. Kesteven takes many hours of continuing education courses per year. He is a graduate of Las Vegas Institute for Advanced Dental Studies (an internationally renowned facility for postgraduate dental education), where he has completed their curriculum including “Full Mouth Restoration”. Dr. Kesteven also has advanced training in gneuromuscular orthodontics, conscious sedation and dental occlusion (bite problems). Dr. Kesteven was awarded the Gold Medal by the Alberta Dental Association for excellence in Clinical and Academic Studies. Dr. Kesteven received a Mastership in the Academy of General Dentistry (AGD) in July of 2011. The Mastership award is the highest honor available at the AGD and one of the most respected designations in the profession. To accomplish this goal, Dr. Kesteven completed an additional 1,100 hours of continuing dental education. Dr. Kesteven is continuing his educational pursuits at Dr. Clayton Chan’s training facility, Occlusion Connections. There are more than 100,000 General Dentists in Canada and the United States and less than one percent of those are Masters with the AGD. In British Columbia, Dr. Kesteven is only the fifth practicing Dentist with a Mastership and the only one in the Fraser Valley. In the area of dental implants, Dr. Kesteven earned fellowship status in the International Congress of Oral Implantologists (ICOI) on June 25, 2015. This award recognizes his experience and proficiency in the area of dental implants. Dr. Kesteven has been married for 30 years to Lori, his best friend and confidant. They live in Mission, where they enjoy their four adult children, Blair, Jared, Torey and Evangeline. Outside the office Dr. Kesteven stays active with biking, hiking, skiing and other outdoor sports. As well, the entire family enjoys traveling and exploring different countries. Serving the Lower Mainland from Hope to Vancouver.